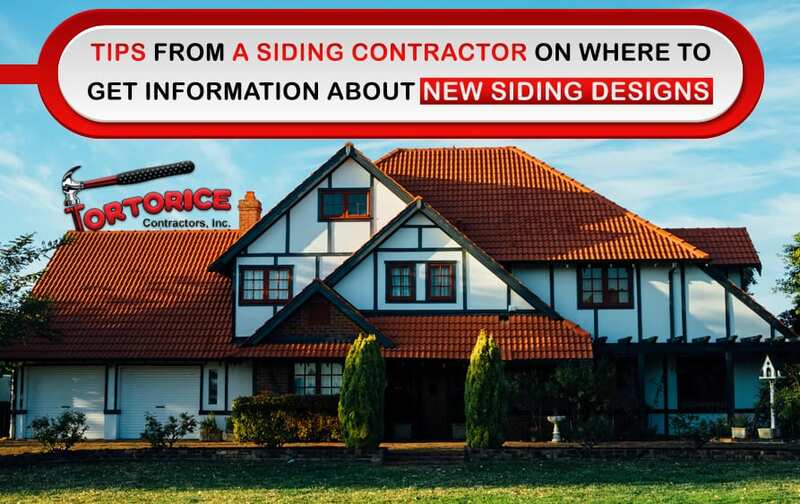 Tips From a NJ Siding Contractor on Where to Get Information About New Siding Designs - Tortorice Contractors Inc.
Siding is an important part of the house as it determines the overall appearance of it. There are different types of siding available on the market as well as an increasing number of NJ siding contractor professionals, who are increasingly joining the industry to meet the growing demand. If you have a house and wish to change the siding in order to improve its appearance, there are many issues to take into consideration. The good news about siding is that, unlike in the past where you were only limited to few siding designs, the number of options has now increased. New technologies have contributed a great deal to ensure property owners get the chance to choose siding designs that fully reflect their needs and preferences. If your home has siding that you never really liked, you now have a chance to correct this anomaly by checking out newer siding designs. Aside from improving the outward appearance, modern siding designs have been hailed for their exemplary features, good quality, and superb safety considerations. If you have old and outdated siding it might be time to start thinking about modernizing it. Remember, houses with newer siding designs fetch better market prices, especially if you’re planning to sell your home. Are you interested in finding out more about new siding designs but don’t know where to start? The following are some techniques you can use to familiarize yourself with the current trends and designs in the siding industry. Even though there are different types of siding on the market, talking to an expert siding contractor NJ will help you to identify beautiful designs that can work well for your house. The advantage of using an expert is you get to benefit from professional advice that will help you to make an informed decision. If you choose to be advised by a siding professional you will not only get an attractive siding, but you will also choose a high-quality siding that adheres to the highest safety standards. Nowadays, the industry is competitive so you can easily find a reputable siding expert who will advise you accordingly and ensure you get full value for your money. The internet is the greatest tool to help you find information that is readily available today. Whenever you want to find out about any new trends in the building and construction industry, searching online is the best way to do so. With a vast amount of information available on online platforms, you will come across a lot of information related to different types of siding. While on the internet, you will come across many NJ siding contractor blogs and other online resources that will provide first-hand information about siding. In addition to checking out the latest designs, you will get useful tips on how to choose the best quality siding and how you can maintain your new siding. The internet has become a favorite platform that businesses in the siding industry are using to advertise their products. This means, while you are online, you’re exposed to a lot of cool, trendy, and captivating siding designs that can work well for your house. With the high levels of creativity in the industry the internet will also help you to think from a broader perspective and encourage you to try new and unique designs no one else in your neighborhood has. As long as you know how to look for the right information online, your online search for new and contemporary siding designs will be very beneficial. One of the best ways to know about new siding trends is to walk around and see what type and styles other people have on their houses. While looking at the siding, you might be surprised to find some homeowners who have decided to embrace creativity and went for a newer and more creative siding design. A lot of people have been able to get good ideas just by observing what others have already done and then calling a siding contractor in NJ to see if they can execute a similar design. Additionally, you can also get recommendations by checking out other houses belonging to friends, family, and colleagues. In most cases, when you see a good siding and get a recommendation from the owner you will also be given the NJ siding contractor contact information. If you are looking for the best siding designs that will reflect your personality and preferences, you can use the methods above to help you find useful information. Remember, you don’t have to pick a siding that everyone else has because technology and creativity have introduced plenty of fresh new ways of allowing property owners to make a choice from different varieties.